Order a Spiritual Healing Session! 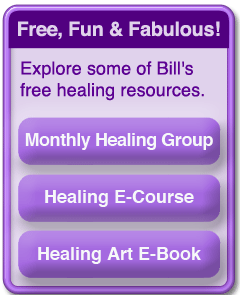 healing tips from Bill Austin! I realized when I was working on clearing myself of self sabotage that I have been sabotaging myself in the way I was doing the Daily Support Program. When I created the program years ago, I wanted to create just one program that could suit the needs of most of my clients. But by creating one program for everyone, I created a program that was not ideal for anyone. Each of these four support programs contains four general clearing and healing transmissions and over twenty targeted transmissions a day meet the needs of my customers who are looking for help on healing, spiritual growth, money and relationships. I tried to make these programs as affordable as possible so more people could take advantage of them. 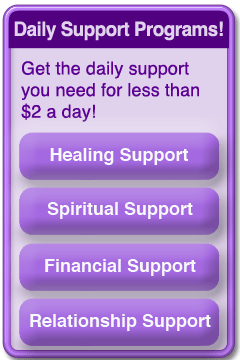 Each Daily Support Program costs less than $2 a day. Want More Joy, Health and Money?